Including Roisin Murphy’s Return to the USA! 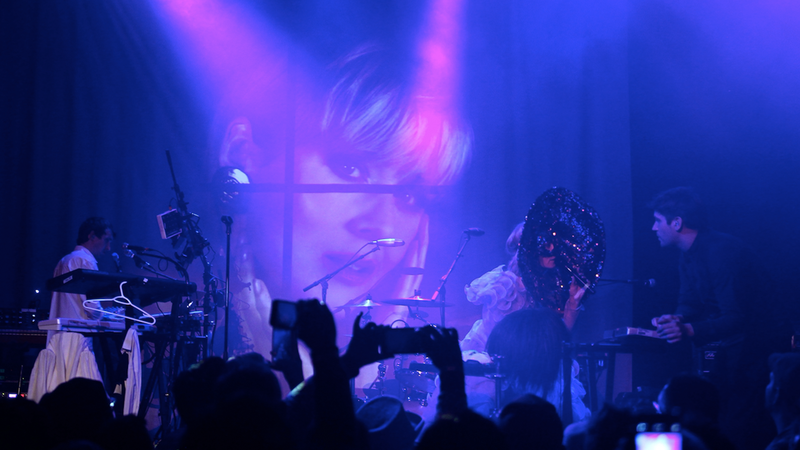 Fans didn’t waste a moment to get tickets to Roisin Murphy’s rare sold-out performance when the Irish singer announced that she would be coming to the Music Hall of Williamsburg. And wow, she did not disappoint. Her powerful vocals and countless costume changes kept fans captivated all night. Talented deep house DJ and producer Kerri Chandler brought an exciting twist to his performance at Analog BKNY in Gowanus. A skillful violinist joined him onstage, bringing a much-needed live element into the small, intimate club. The crowd loved it. Was great to be in Brooklyn a couple weeks ago at @analogbkny. Look forward to seeing you all again soon! Love, Respect & Admiration, Kerri. Kidnap Kid’s newly established label, Birds That Fly, made its New York debut with a showcase at Output club in Williamsburg. Kidnap Kid was joined by Jey Kurmis and label-mate Amtrac. The trio did not disappoint, each bringing a groovy, bouncy vibe to the club on a cool Wednesday night. BEMF teamed up with Dutch techno label Unter to bring the masterful Robert Hood to a warehouse in East Williamsburg, with opening sets by Volvox and Bryan Kasenic. Hood laid down hours of hard-hitting, melodic industrial techno that kept the party going, and his after-hours set went well into the morning. The Black Madonna brought her ‘We Still Believe’ tour to Analog BKNY for its official NYC stop with Mike Servito, Honey Dijon, and Turtle Bugg in tow. The Chicago house staple, with the help the of NYC local Mike Servito, brought a deep, sassy, and soulful vibe to a packed room. See you next year, fellow Brooklynites.